People can identify good cooking a mile away. The sense of smell has been linked to memory and I can completely understand why; Grandma’s cooking. While you, your Auntie, your Mom, or your best friend’s mom may cook great, a Grandma’s cooking is immediately identifiable. Whether it is your Mee-maw, Granny, Nana, Maw, hell your Maw-Maw, your elders one generation or two above you always cooked the best food every conceived. My Great Grandmother was called “Big Mamma.” She was eighty years old and looked it. She was small, frail and smelled like lotion. The irony of her name I found out later was because her Granddaughter, my second cousin couldn’t say “Grandma” and damned well decided to call her what she wanted to. I believe she was the first of the grand babies and was probably about four when she made this decision. The younger, cuter, and first in line get to make all the good decisions. I didn’t know her well, my Big Mamma. I was five when she passed but I was lucky enough to live with her for what I assume was about a six months. Looking back, it could have been between a month and a year, but a five-year olds version of time is sketchy at best. Me, my mother and step-father moved in right before I was to start Kindergarten. I can only assume we lived there due to financial distress. I know we lived with my actual grand-parents on and off for years for this reason and I was happy to do it. They lived on the beach and had a pool! I remember the time we lived with her so vividly, which is odd because I remember so very little of my childhood. The ages between four and eleven are extraordinarily blurry to me, always have been. 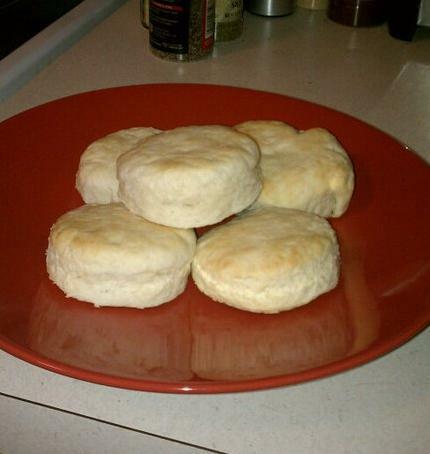 I was reminded of Big Mamma recently when I decided to start trying to make homemade biscuits. With fierce determination I marched to the flea market, purchased the best looking cast iron skillet and Googled many a Southern Biscuit recipe. I found what I thought was the closest to her skillet biscuits and gave it a shot. Needless to say, it is still a work in progress. Especially since all the recipes I encountered didn’t specify the type of flour and I believe due to a bevy of flat puck shaped biscuits, self rising flour is needed. Update: These are actually MY HOMEMADE BUTTERMILK BISCUITS! Seriously. I did it. White Lilly Self Rising Flour + me + prayer = these! I am beyond proud. I was at my kitchen counter covered in flour from the elbow down mixing buttermilk and lard between my fingers I was immediately transported back to her kitchen. I remember her kitchen was small but cozy just like her entire house. There was a small aluminum table with just two chairs to sit and eat. I believe she had lived solo for many years by the time we moved in. The chairs were metal with a cushion for your back and your rear. They were covered in yellow vinyl and were slightly cracked showing the aging foam underneath. This was the same card table my Great Uncle Ralph taught me how to shuffle cards. Sitting on his lap I was the sole person he taught how to half the deck, bend them backwards, and watch as each card intertwined with the one across from it. Then when I was really good, he taught me how to bridge. That is when you have intertwined the cards, you bend them in the middle and they all come together with a loud faaaaaaaaaaaaaaaaaaak noise. You slam them down to get them back in a neat pile and start over. He told me this is the only real way to shuffle a deck. He also taught me how to play poker. At five years old I found this very fascinating. All the while Big Mamma was cooking. She cooked three square southern meals a day. Small one’s for breakfast and lunch, then a huge meal for supper. We found out quickly after we moved in that she cooked for her two sons Ralf and Arthur and brought them a hot plate of food every night. A chore my mother and I gladly took over as soon as we arrived. There were a total of six children under Big Mamma’s brood; Ella V, Lois, Arthur, Ralf, Lamar, and Alton. I think this is in order of birth, but I am not positive. The remaining three living children; Ella V, Lois, and Lamar are well into their mid eighties themselves at the time of this entry. Her sons Arthur and Ralph both owned stores on the same road she lived on. They were less than two hundred feet from her door. Arthur ran a bright orange Rexall Pharmacy and Arthur a Hardware store. The Hardware store still stands to this day, but under what owner I am not sure. The neighborhood went sour about twenty years ago and just about everyone who had always been there, vacated. I remember walking along with my mom delivering these very hot plates of fried chicken, rice and gravy, cornbread, lima beans, biscuits, okra, black eyed peas, you name it and it was on that plate. Covered in tin foil and placed on Cornell plates. They were durable but thin. And I remember having to ask for a pot holder to carry mine with so the heat never reached my tiny hands. The smells from these plates, even though we were well done with more than a helping full of our own supper, was intoxicating. 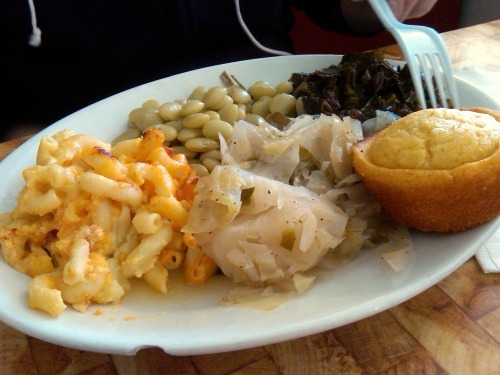 It seemed to take her an hour to conjure up these wonderfully Southern dishes. Dishes that if I were to even try today at thirty-three would take four hours to prepare. There were a lot of smells I remember from our time with Big Mamma. I remember coming a close second to the wonderful food, was Honey Suckle. To this day, if I smell Honey suckle I am taken back to a time when all I did was play by myself in her back yard. The entire yard that was surrounded by a three and a half-foot high chain link fence covered in honey suckles. It was so thick it looked like green shrubbery sprayed with small white flowers was surrounded her back yard instead of the deliberately twisted metal. 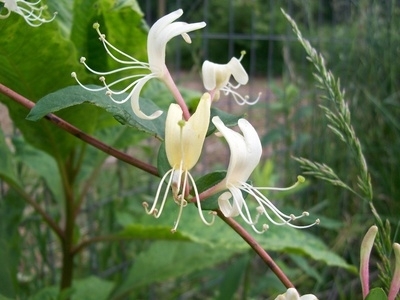 I remember when they were at full bloom picking hundreds off and sucking the sweet honey nectar from the stamen in the middle. To this day that smell takes me back to those days. I spent a great deal of time out doors. I was either running around in the back yard or with Big Mamma in the lot behind her house picking blackberries for cobbler. We spent so many late summer afternoons just her and I quietly picking the ripest of the blackberries and piling them into the baskets until the sun began to set. 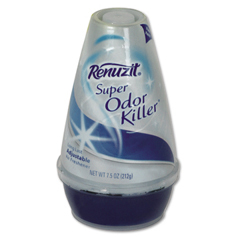 Another smell, I remember not so fondly, were Stick-ums and another cone shaped air freshener that to this day I still can’t stand. The stick ums, for those who don’t know, were disc shaped air fresheners that you could stick wherever you saw fit, hence the clever name. I remember them always being inside the hamper in the bathroom. That one wasn’t so bad. It was the one, the name escapes me, that was cone shaped that you could open little by little depending on your odor killing needs. I think I hated the smell, because the inner workings of this contraption contained this slightly firm jelly substance I found fascinating. It would call to me every day, when I was taking a bath or washing my hands, I would stare at it with wonder and contempt. Contempt because I thought it smelled horribly and wonder because I wanted more than anything to touch the dark red gelatin contained within. Eventually my five year old curiosity got the best of me and I couldn’t hold back any longer. I shoved my finger straight in. All the way down to the knuckle. The Evil Air “Deoderizer” in question. Today in fashionable putrid blue. I immediately knew I was in trouble. When I removed my now putrid red finger there was a distinct digit shaped hole in, what was a just moment before, an even shiny surface. I tried to smooth it over with more fingers that were immediately contaminated with the devils goo. This made it look worse. I decided at that moment, covered in the mess and panicky, that it had to die. I grabbed the top of the cone and ran to my bedroom. This caused it to open completely cranking the level of perfumed awfulness to 11. I looked around frantically and then decided to stash it in the back of my dresser. Now, it was time to start the process of fixing the mess I had gotten myself into. First, I tried to wash the muck off my fingers. After several attempts I finally settled on clean red stained perfumed fingers. It had to do for the moment. I was wearing my overalls and I could stash my hands there for a week if I had to. Next on my list, was to decide where to permanently dispose of the cone of my contempt. Between the ages of five and ten my best plan of action when I had gotten into mischief was to hide the evidence. The trashcan was my preferred receptacle. I learned early on when you just throw it away they see it immediately. I remember one day seeing my mom grimace and curse having to reach down to the bottom of the garbage looking for a spoon that accidentally fell in. Immediately my “ah-ha!” moment occurred. “They don’t like it at the bottom. So, put everything there!” This may seem obvious but to a youth these baby steps into deductive thinking are crucial. I battled coffee grounds, cigarette butts, discarded mushy food items, you name it. Just to make sure any item in need of hiding was at the very bottom of the trashcan. A place no man, woman, or child wanted to go. To Be Continued — due to massive length. But do not fret part II isn’t as long. At least it isn’t in my head. PS. Wondering where the kitty picture used for inspiration is? Not here. I started a story and just didn’t care for it. So, instead of leaving everyone hanging, I am releasing this autobiographical gem that I was quite enjoying working on. But it is all kind of long. So here is part I for you, my reading peeps. 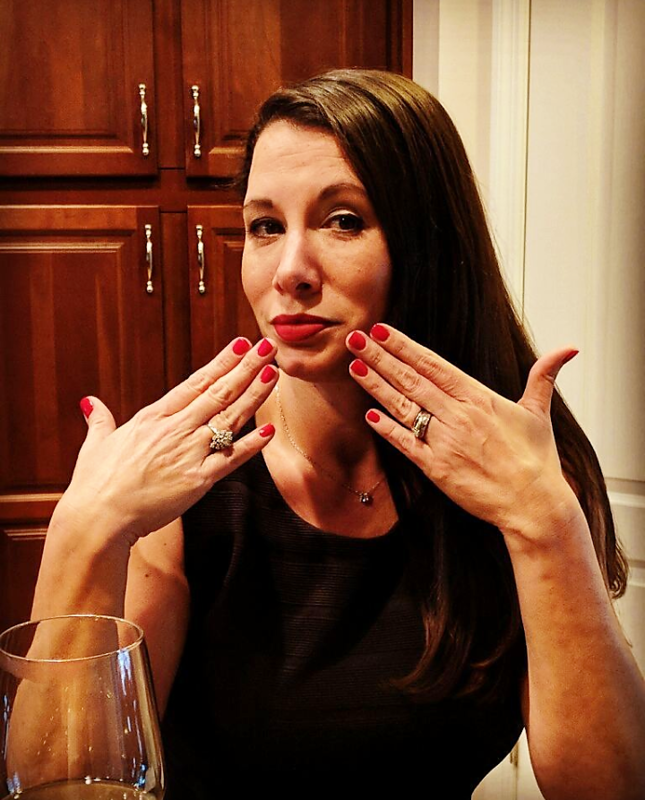 This entry was posted in Actual Blogs!, Uncategorized, Woman on Writing and tagged biscuits, childhood, great grandmother, growing up, honey suckle, mischeif, youth. Bookmark the permalink.